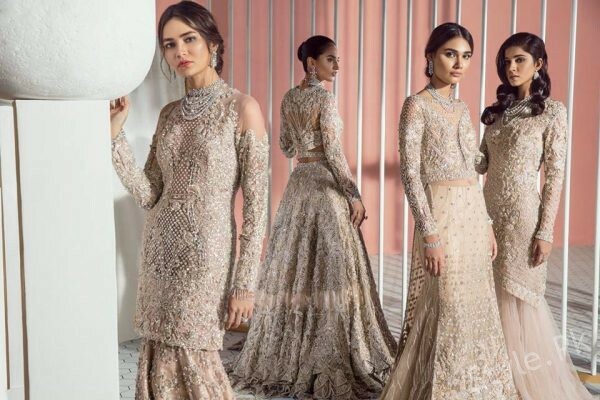 Here comes the awesome and newly launched Suffuse by Sana Yasir bridal wear collection 2018 for women! Checking out with this collection will make you fall in love with this collection line for sure! Let’s have a look! 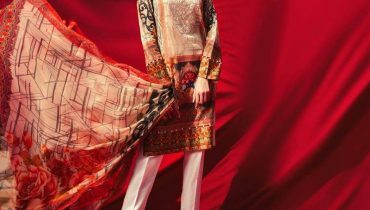 Suffuse is a well known clothing brand name that is been run and supervised by the Sana Yasir as one of the talented known fashion designers. This brand has been indulged in offering out with the women based clothing collection lines that do spell around in the categories of formal wear, semi-formal wear, casual wear and bridal dresses. They have put forward with so many collections in the past few years and with each single year they will simply come out to be most demanding inside the market places. 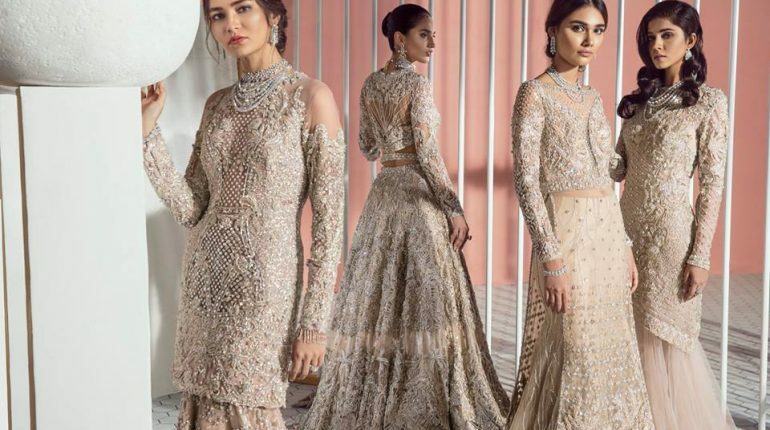 Into this amazing Suffuse by Sana Yasir bridal wear collection 2018 for women, this brand outlet has been offering out with some fashionable options of formal wear dresses. 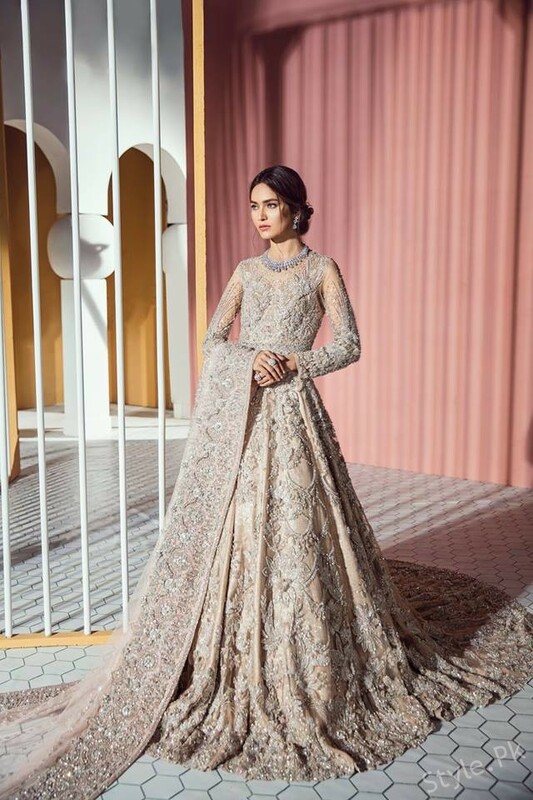 The collection line is brilliantly added with the lehengas, long shirts or medium length of shirts where the pairing of trousers and cigaratte pants is the favorable option. The designing work over the top of the dresses designs has been done so magically and in magestic blends. You would love the way the cuts and hues are creatively included in the collection line. Plus the adornment of the collection line dresses is all done with the embroidery work with the heavy shading of the dabka and stone pattern design done on it. This collection is for sure by name turning out to be attractive looking for the formal parties and wedding functions. Colors are shaded in soft and much light color combinations. 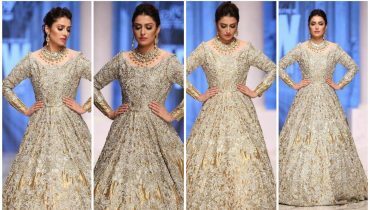 Here we will add up the post with some lovely pictures taken from the album of Suffuse by Sana Yasir bridal wear collection 2018 for women. It is all readily accessible in the outlets of Suffuse by Sana Yasir. Go and get this collection right now!